Ruth Elizabeth Bette Davis was born on April 5, 1908, in Lowell, Massachusetts, USA. She began her career on the stage in New York, but moved to Hollywood, California, in the early 1930s. She was hired by Warner Bros. in 1932, and over the years, she became Hollywood’s foremost dramatic actress. In later years, she did Television to great acclaim. Davis died on October 6, 1989, in France. The Lonely Life: An Autobiography, by Bette Davis. Copyright © 1962. Mother Goddam: Bette Davis, by Whitney Stine with Bette Davis. Copyright © 1974. 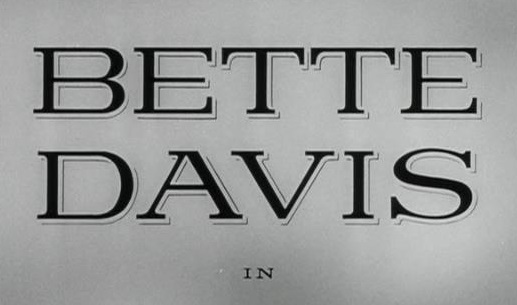 This ‘N That, by Bette Davis with Michael Herskowitz. Copyright © 1987. Bette, Rita and the Rest of My Life, by, by Gary Merrill. Copyright © 1988. I’d Love to Kiss You: Conversations With Bette Davis, by Whitney Stine. Copyright © 1990. Fasten Your Seatbelts: The Passionate Life of Bette Davis, by Lawrence J. Quirk. Copyright © 1990. Bette and Joan: The Divine Feud, by Shaun Considine. Copyright © 1990. More Than a Woman: An Intimate Biography of Bette Davis, by James Spada. Copyright © 1993. All About Bette: Her Life from A-Z, by Randall Riese. Copyright © 1993. What a talent and a trailblazer. Baby and The Nanny are fantastic! Very clever thrillers. BTW, If you like thrillers, The Petrified Forest, The Letter and Deception are tons of fun.